This 10" puppy has a cream body and patterned trim. 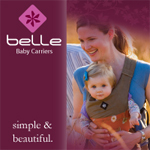 Made from 100% certified organic cotton, pure silk and eco-friendly safe dyes. The Naturals collection offers sophisticated and unexpected prints, making these organic toys timelss standouts. 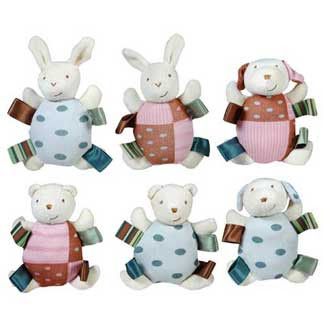 Three styles, a bunny, dog and bear, these 5" rattles have cream faces and gently colored prints. Made from 100% certified organic cotton, pure silk and eco-friendly safe dyes. The Naturals collection offers sophisticated and unexpected prints, making these organic toys timelss standouts. You may choose pink or blue, but the style choice will be random. This price is for one rattle.